Preparation for and reception of the sacraments of Reconciliation and Communion are very exciting times for both children and their families. Our parish is excited to be a part of that journey with your family. A child who is baptized Catholic and is in second grade or higher may enroll for sacramental preparation for Reconciliation and Eucharist. Children must complete preparation for Reconciliation before beginning preparation for Eucharist. o There is a requirement of one full year of parochial school or faith formation classes prior to the sacramental preparation year. 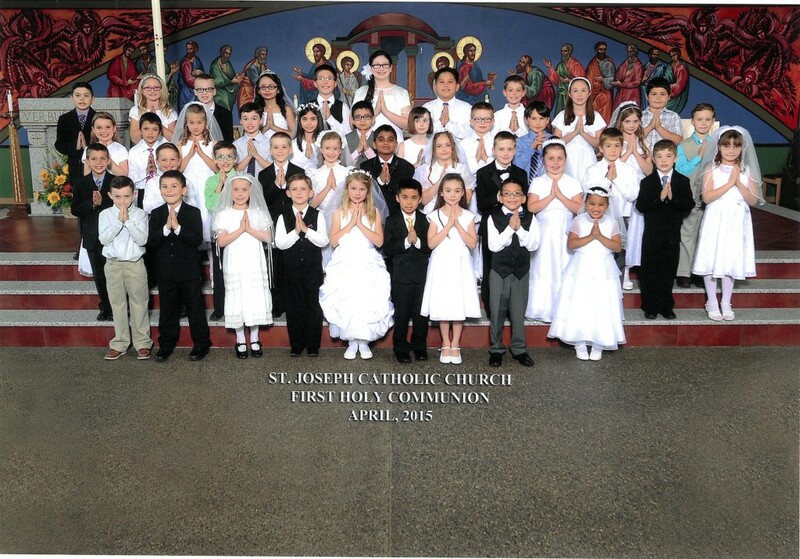 For your child to celebrate the sacraments in second grade he/she must be enrolled and attending during first grade. o During the sacramental preparation year the child must be enrolled in and attending parochial school or parish faith formation in addition to sacramental preparation classes. Parents have an active role to play in preparation process through their own classes and work at home with their children. Children must be registered for sacramental preparation by the third week of September each calendar year. Reconciliation preparation and celebration are in the fall of each year. Eucharist preparation begins each winter with the sacrament being celebrated during the Easter season. To register, contact the parish office. For questions, contact Tracy Joy at 360-823-2833.